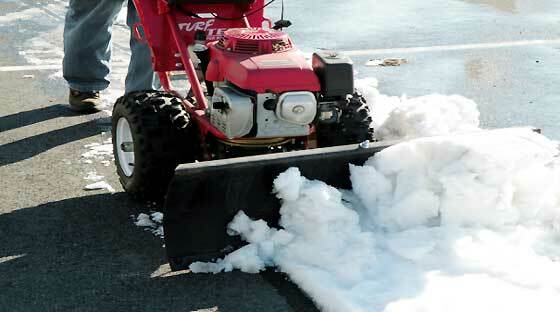 Power plough - grade and level soil, sand and gravel or shift snow. UK supplier. 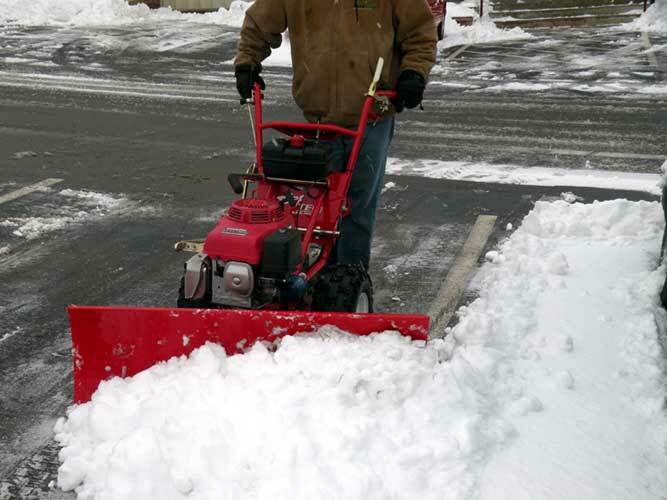 Use the Power Plough to grade and level soil, sand and gravel or to shift snow. Blade is spring-loaded so will trip if it hits something solid. Blade oscillates 6 deg. up and down to cope with uneven ground. Blade pivots 8 deg. to the left and right or works straight ahead. Height - 17" (432mm) steel dozer blade. Tractor has ballasted tyres and a differential lock for maximum grip. View Spare Parts List . 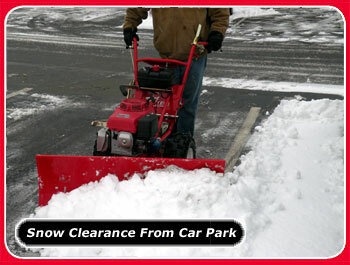 The powered walk-behind Plough is driven by a Honda Tractor Unit, which is common to all attachments. 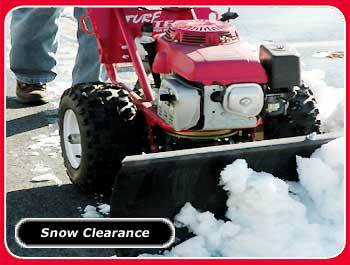 Also see our versatile Power Sweeper. of a TurfTeq Power Plough. © Copyright 2009-2019: County Hire Ltd. All Rights Reserved.